Last week I covered the next@acer 2018 global press conference in New York. There was a lot of hardware launched that day - and I concentrated on the gaming desktops, gaming laptops, and accessories. However there were several interesting mainstream laptops released too. One of the most important products for Acer last week was Predator Helios 500 gaming laptop. It got its own press release and I shared the product video in my coverage. At the time we heard that Acer would allow buyers to specify up to an overclockable 8th Gen Intel Core i9 processor and overclockable GeForce GTX 1070 graphics with Intel Optane memory options, as well as other high spec choices such as ultra-fast NVMePCIe SSDs, Killer DoubleShot Pro networking, and up to 64GB of memory. Acer built the Predator Helios 500 around a 17.3-inch screen with choice of either 4K UHD, or FHD IPS displays with 144Hz refresh rate. Furthermore, we heard that Nvidia G-Sync would work on both the internal and connected displays. Complementing this portable visual powerhouse are two speakers, a subwoofer, and Acer TrueHarmony and Waves MaxxAudio technology. Sometime this weekend Acer updated its Predator Helios 500 laptop product pages with various powerful AMD options. 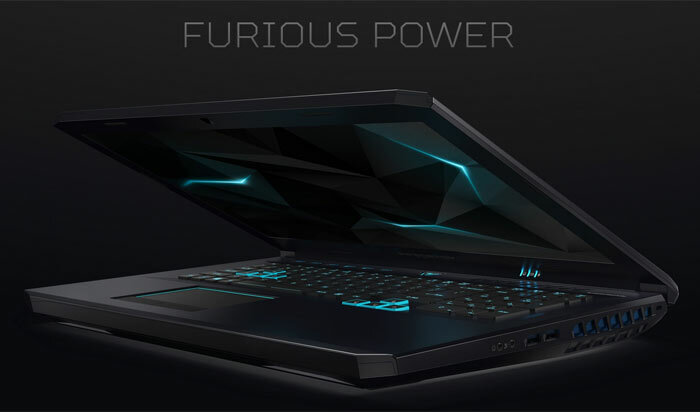 If you head on over to the official product page now you will see that Acer is boasting of the 'Furious Power' on offer and of its AMD choices. Now there isn't just a choice of up to 8th Gen Intel Core i9-8950HK processor with six cores and 12 threads, you can instead choose an AMD Ryzen 7 2700 processor - with eight cores and 16 threads. For graphics processing, again there is an AMD alternative. 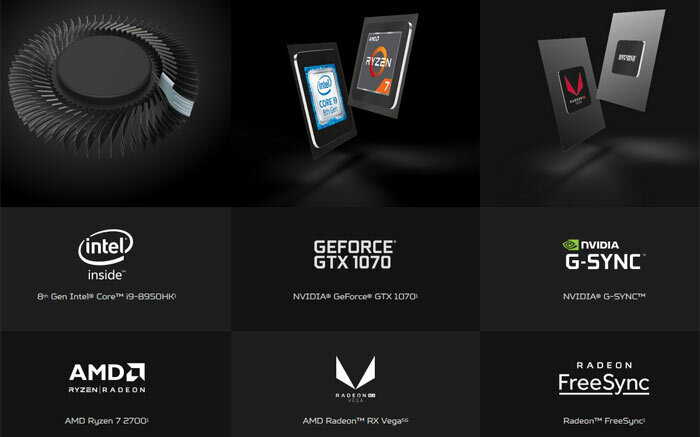 Buyers can now specify an AMD Radeon RX Vega56 GPU to push their pixels. And if you are going for the AMD GPU option it is only natural to want to equip an AMD FreeSync friendly display panel - another new option here. At the time of writing Acer doesn't provide a proper tech specs list for the AMD options, nor any example configurations but surely they will be published in due course. Intel/Nvidia versions of this hefty gaming laptop start at around US$2000 but we don't have such details, or availability information, for the new AMD flavour model(s).